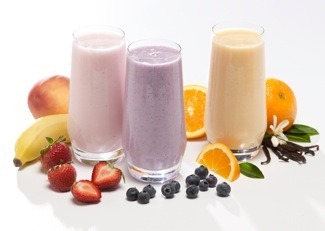 CMMD Protein Smoothies provide an all natural blend of protein, fiber and healthy fats to serve as your base for creating great tasting smoothies. Choose to blend with our assortment of flavor packets, or blend with fresh ingredients for a smoothie that’s all you own. It’s a meal replacement, and the concept is simple! Choose to add fresh ingredients and/or one of our Flavor Packs to the Smoothie Base Mix for maximum variety and choice. 2 great flavor packs to enjoy! These nutrition facts are for the Base Mix only. See each flavor for its Nutrition Facts.